This year our Church put on a créche for our community. 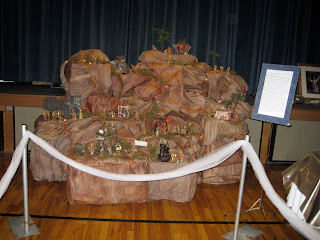 There were over 400 Nativities from all over the world. 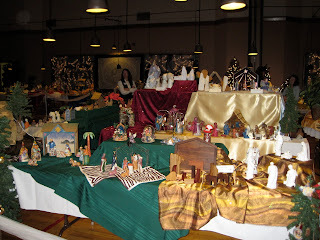 It was really neat to see nativities from Haiti, Pakistan, Iran, Croatia, Jerusalem, Brazil, Mexico and many, many other countries from across the globe. It was really neat. 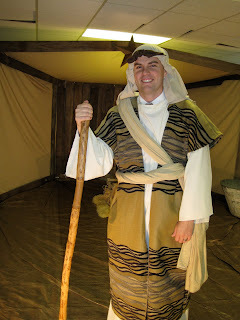 While checking out the nativities there was also a live nativity set up to take pictures. Costumes and photographers were provided. What do you think? Chris made a great Joseph. 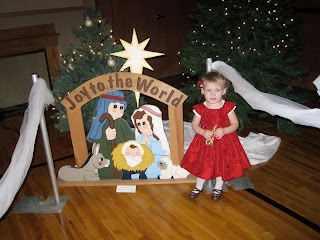 Here on some pics of the Nativities. Really the picture just doesn't do justice to what it was really like. Whether you believe in Him or not, the feeling was undeniable and very strong. This last picture is the Fontanini set that my MIL set up. My brother-in-law, Darren, has been collecting this nativity set for years. Isn't it so amazing? May we all remember what the season is about.